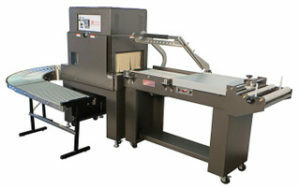 The PP-1622MK-Combo machine is a combination of the PP-1622MK L-bar sealer and the PP-1808-28 shrink tunnel. It’s the first fully adjustable combination L Sealer and shrink tunnel without seal wires. 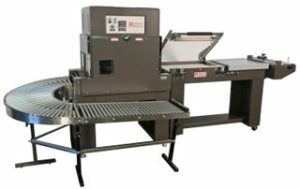 Together, this machine is a compact, portable, all-in-one tunnel sealer for quick and easy shrink wrapping. 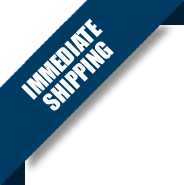 Seal Dimensions (L x W): 16" x 22"
Machine Dimensions (L x W x H): 103" x 32" x 62"
CS Packaging stands behind all of the packaging machinery we distribute. We offer complete personalized support for choosing the right equipment, installing machinery in your facility, operational training, equipment maintenance, and post-purchase customer service of all kinds. If you need anything, your priorities are our priorities! All CS Packaging service technicians are factory certified and dedicated to ensuring that your packaging equipment is always operating at peak performance. If you experience problems or issues with your equipment, please contact us and we will take all possible measures to make sure the issue is resolved. 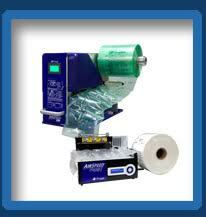 Get packaging machines and equipment for your facilities. Protect your product and customize your unboxing experience! View our suppliers and products here.